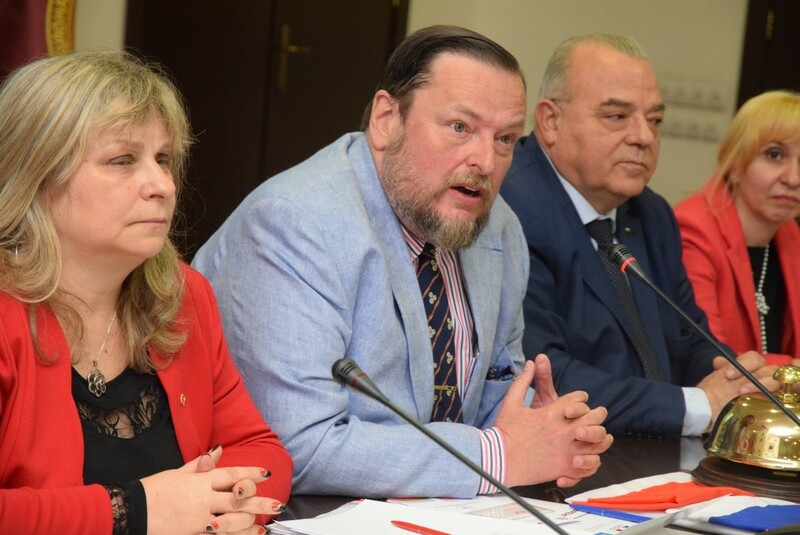 The UNWE hosted the two days International Scientific Meeting Discussion: French Days of Law organized for the first time by the Law Faculty supported by the French Institute in Bulgaria. The great interest to the Forum gathered in the Large Conference Hall lots of eminent representatives of the legal science from the French and Bulgarian universities, French Institute in Bulgaria, French Embassy, Institute for State and Law at Bulgarian Academy of Science (BAS), etc. Assoc. Prof. Dr. Diana Marinova, Vice Dean of the Law Faculty and Scientific Secretary of the International and EU Law Department expressed thankfulness to the French Institute and French Embassy for their support and outlined the significance of the three thematic fields of the Forum: theory and history of law, public and private law, problems of justice. 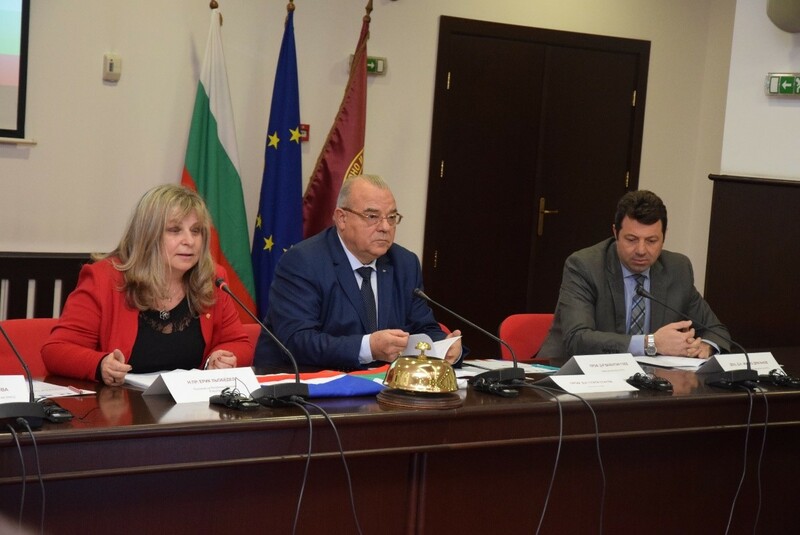 In her introduction speech she pointed out the symbolic related to the Bulgarian and French flags reflecting the main idea of the current international scientific project – to enlarge the cooperation between universities.  As university that has set up the beginning of the Forum we will give the flags of French Days of Law to the Law Faculty of Paisii Hilendarsky University of Plovdiv. It has the greatest interest to the scientific event and participate with the largest number of jurists - francophones, said Assoc. Prof. Dr. Diana Marinova. The Rector Prof. D.Sc.(Econ.) Statty Stattev opened the French Days of Law, greeted the guests and expressed thankfulness to the French Institute for its support. The law has always been an immanent part of UNWE. Even when the Free University of Political and Economic Sciences was established – the predecessor of UNWE - one of its three faculties had been the Legal Faculty. 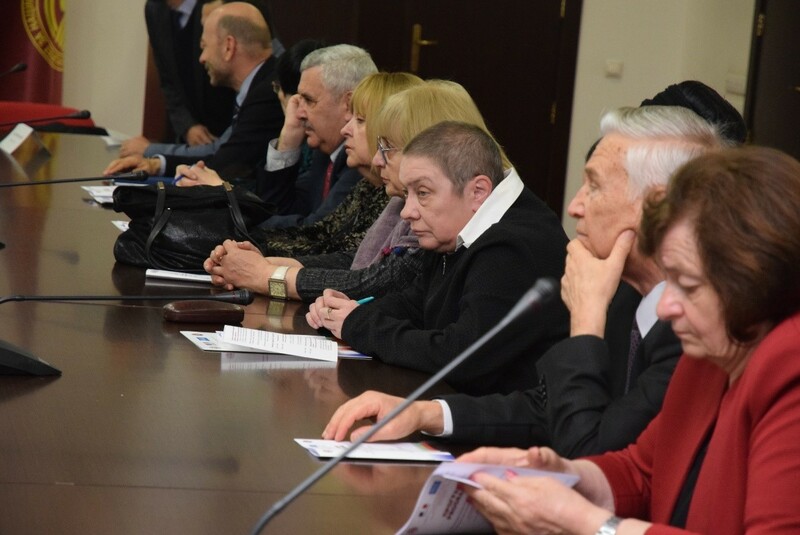 Due to the professionalism of lecturers and scientists today`s Law Faculty occupies also a worthy place among the other ones in the country, said Prof. Stattev. The Rector pointed out that part of the UNWE lecturers had been French graduates. They had incorporated the French spirit and aristocratism in the education and science creating a live relation kept in the current days by the lecturers from the UNWE teaching to students at the French universities. 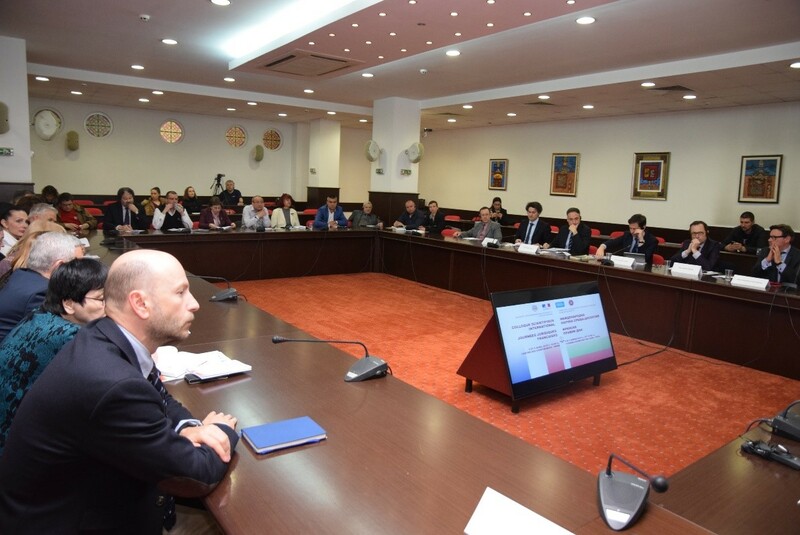 Prof. Stattev outlined the importance of the Forum for developing the cooperation in the field of law between the UNWE and French universities. Assoc. Prof. D.Sc. 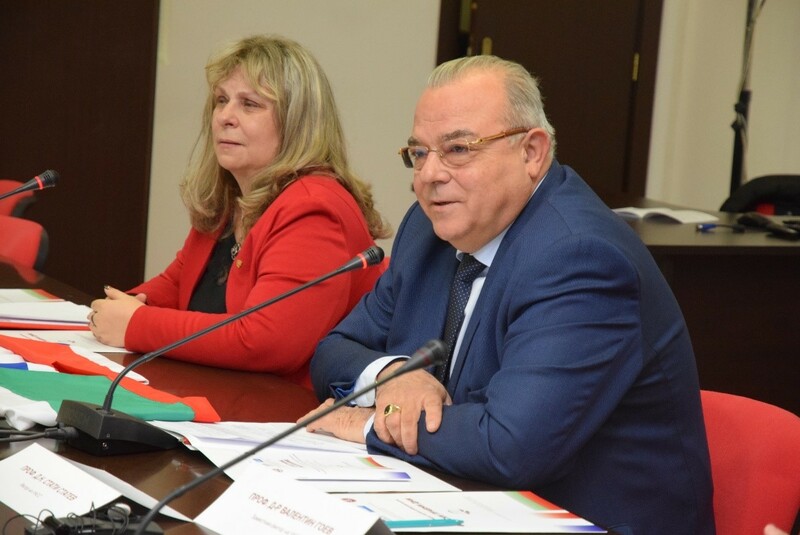 (Law) Zhivko Draganov declared that the French Days of Law set the beginning of traditional discussions necessary to maintain the relations and cooperation between the Bulgarian and French universities in the modern conditions. He pointed out that in the open modern world the communication could be developed through joint trainings and Master`s degree programmes in law. As member of the Board of ELFA Assoc. 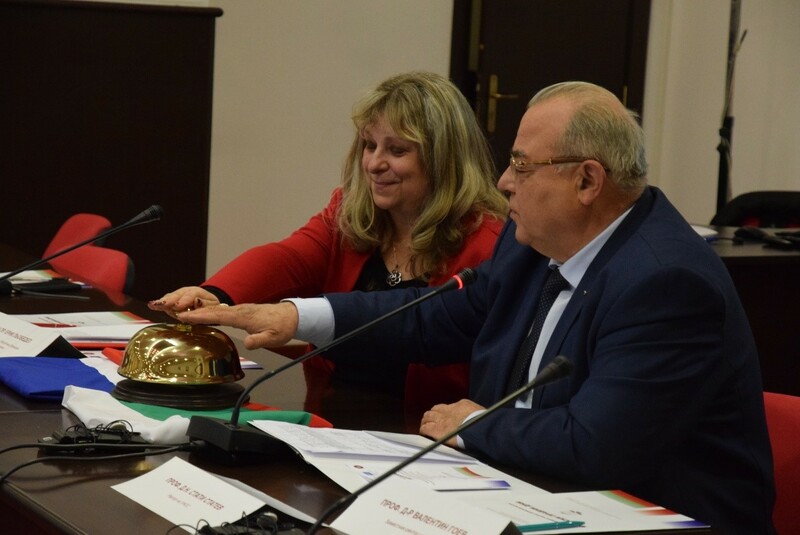 Prof. Draganov launched an invitation to the representatives of Bulgarian and French universities for organizing a joint summer school by the support of the Association. 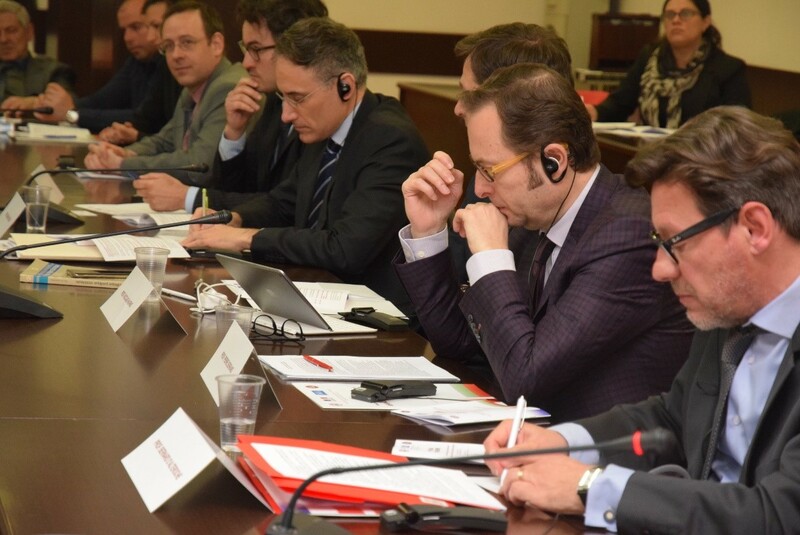 He outlined the importance of the Forum for developing the legal thought and exchange of ideas between the Bulgarian and French Law Faculties. 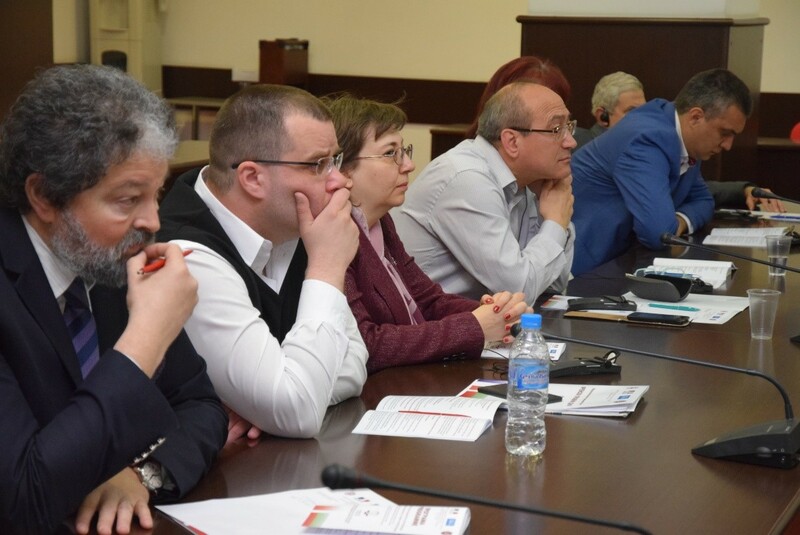 On behalf of the Ombudsman of the Republic of Bulgaria Maya Manolova the organizers and participants in the Forum were greeted by Assoc. 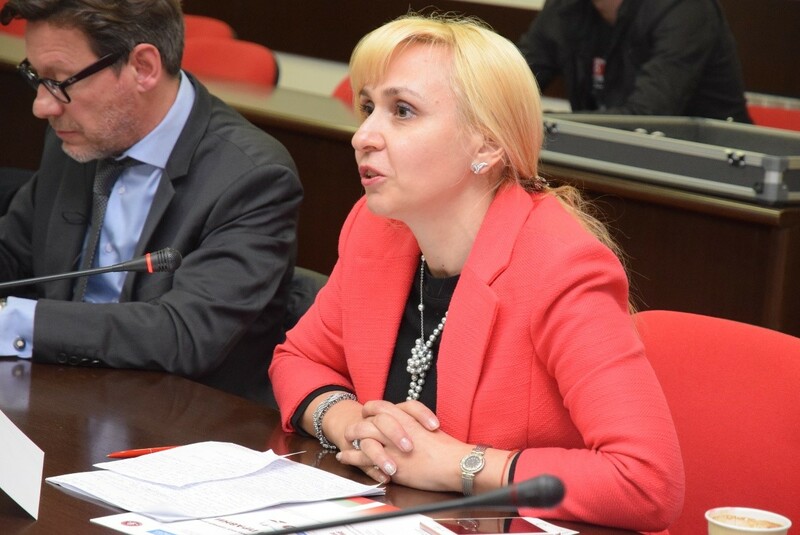 Prof. Dr. Diana Kovacheva, lecturer at the Law Faculty of UNWE and Deputy Ombudsman of the Republic of Bulgaria. He defined the Forum as the beginning of tradition of peculiar importance in the modern world where the open cooperation is indispensable especially in the field of law. The UNWE enriches the tradition of continuity encouraging the young lecturers, pointed out Assoc. Prof. Kovacheva. 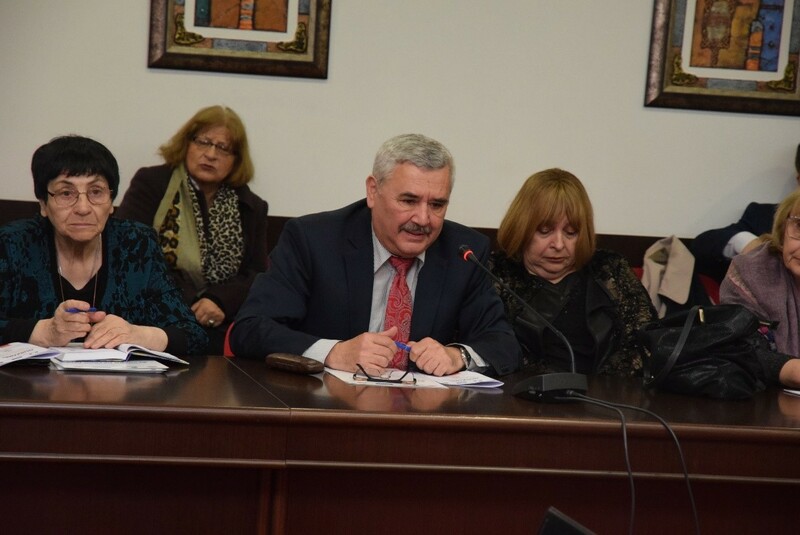 The organizers and participants were also greeted by Prof. Dr. Ventsislav Stoyanov, Dean of the Law Faculty of Paisii Hilendrasky University of Plovdiv who outlined the positive contribution of the Forum to the development of legal science and useful cooperation between the Bulgarian and French universities in the field of law. Mr. Joule Currajong, First Advisor at the French Embassy, expressed thankfulness to the UNWE for the assistance in the implementation of the Forum. 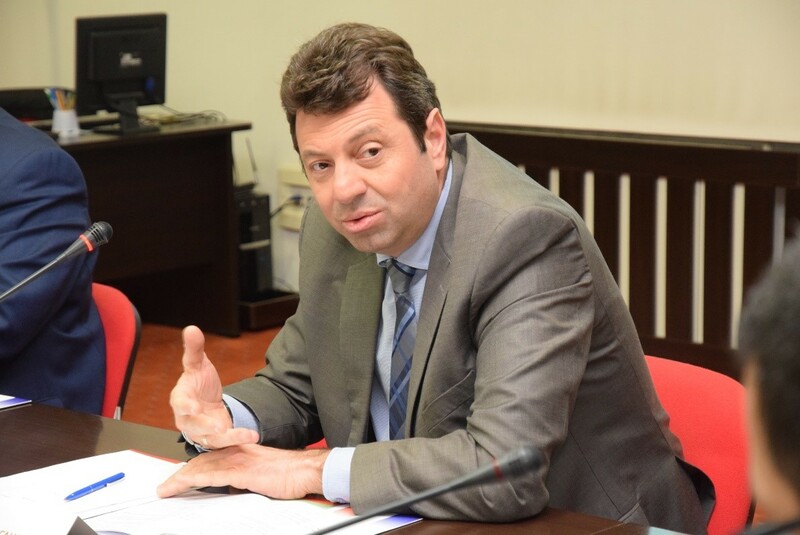 The fact that so many Bulgarian and French scientists has gathered together at one place to discuss important legal topics is an evidence for long and useful future interaction and cooperation between the Bulgarian and French universities, said Mr. Currajong (in the picture below). During the Forum in the legal discussions took active part scientists from the Law Faculties of the leading Bulgarian and French universities – UNWE, Climent Ohridsky University of Sofia, Paisii Hilendarsky University of Plovdiv, Institute for State and Law at BAS, Panthéon-Assas (Paris II) University, University of Orleans, University of Nantes, University of Tours – France (in the pictures below).